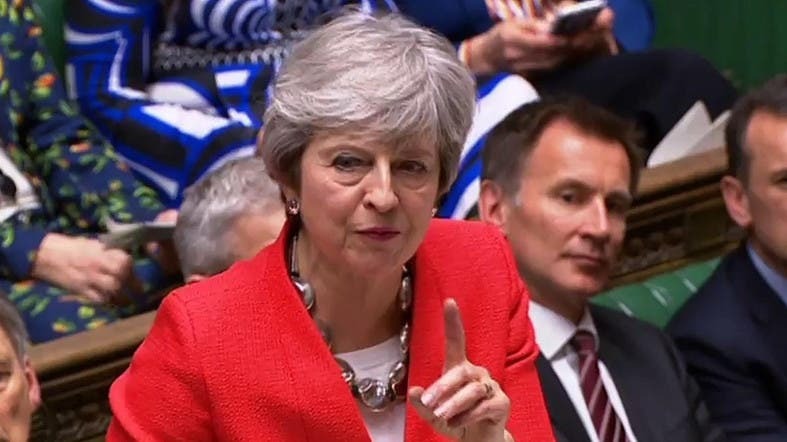 Prime Minister Theresa May asked the European Union on Friday to delay Britain’s departure from the bloc until June 30, with the extension ending earlier if parliament approves her Brexit deal. “The United Kingdom proposes that (the extension) should end on June 30, 2019. If the parties are able to ratify before this date, the government proposes that the period should be terminated earlier,” May wrote in a letter to EU Council president Donald Tusk. Downing Street released May’s letter moments after a senior EU official told AFP that Tusk was proposing to postpone Brexit day by up to a year, also pending parliament's approval of the EU-UK Withdrawal Agreement. The current deadline is April 12, which has already been pushed back once from March 29 because of the UK parliament’s failure on three occasions to back the deal May signed with the other 27 EU leaders in December. In her letter, May said she wanted to make sure that Britain left the bloc after 46 years in an orderly manner, with an agreement that could help unwind intricate political, security, diplomatic and economic ties. “The government’s policy has always been and remains to leave the European Union in an orderly way, and without undue delay,” May wrote. “The government agrees that leaving with a deal is the best outcome,” she said.